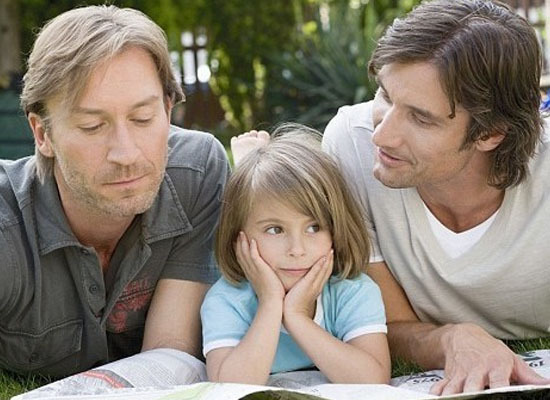 Transgender (LGBTQ) – How do I Explain this to my Child? Transgender – how do I explain this to my children? Just as my son was walking in the back door after a day at kindergarten, he asked me a question that completely took my breath away. “Mom, why does Bobby’s dad dress up like a girl?” I stopped in my tracks. What was I supposed to say? I hadn’t prepared myself to explain to our children what that meant. My mind went completely blank. How do I explain something that I don’t quite understand myself? I did what all parents do in the situation where you feel completely unprepared and unqualified – I changed the subject. Although we were used to talking about how our family, with a black dad and a white mom, was different than his classmate’s families, in my mind this was much different. How do I explain the complexity of the LGBTQ community to him in a way that both answers his questions and is appropriate for a 5-year old? Not wanting to ignore his question for long, I reached out to the network of moms that I rely on for support and advice. The tips I got from them were so helpful; keep it honest, simple, and without judgment. I could do that. This conversation naturally led us to the topic of what words to say to be respectful and about bullying. I made sure he understood that whatever the type of relationship, Transgender, Gay, Straight, Lesbian, the mommies and daddies loved their child just as much as I loved him. I told him sharing love is the most important part of families and that is what matters. Watching the news and reading clips on the Internet, it’s pretty obvious our society is still struggling with talking to children about LGBTQ issues. It’s sad in a way and also understandable. If we don’t talk about differences in families when we are children we grow up to be adults that have no idea how to talk to their children about the same issues. It’s a never-ending circle. Adults not children perpetuate stereotypes. That means that it doesn’t matter to children if boys want to play with dolls or girls want to play with trucks. It becomes an issue when parents start to discuss the “issue” in front of children. You may find yourself having to remind other adults of this reality and may even have to ask them to leave the stereotypes at home or discuss them somewhere other than the playground. When it comes to dressing differently than social norms, your child will have questions. Make sure you understand the question before answering. Just as with my sons’ question about Bobby’s father, your child just wants to know how he or she should react. For instance, a child asking if a boy can turn into a girl may not be asking about transgender issues at all. He or she may be wrestling with adult conversations or bullying situations where a classmate is dressing different than social norms. Ask your child follow-up questions like, “That’s an interesting question, why are you wondering that?” Your child’s response will lead you in the direction the conversation needs to go. If his or her response is, “Sue said that Billy is turning into a girl because he is wearing a skirt.”, your conversation will need to be about respecting others choices even when its different than our own. Above all, make sure that you take appropriate action when needed. If your child’s response to your follow-up questions indicate that there is bullying on the playground or that adults are bringing stereotypes to the classroom, make sure you schedule a meeting with the teacher. Even if it is not your child being bullied, your child will feel the negativity. There is no real way to prepare any parent for all the questions that your child may ask. The only thing you can do is to respond in the most authentic way possible and remember that the question is innocent. Don’t lay adult themes and issues on your child. Just answer the questions honestly.